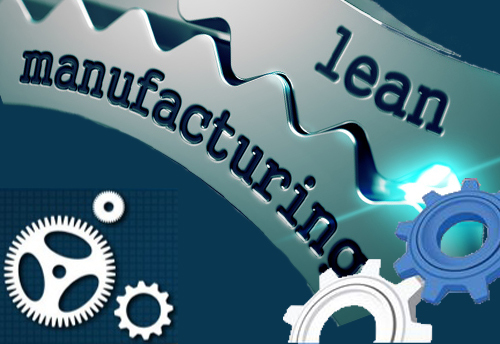 LEAN Manufacturing | Monitor Products, Inc. Since Monitor Products first opened it's doors for business in 1979, we've been focused on operating a customer-centric business model which focuses on production efficiency, and product quality. Following a LEAN approach in every aspect of the business requires focusing on making it obvious what adds value by reducing or eliminating everything else. We believe that the majority of product quality problems arise not from employee deficiencies rather as a result of poor processes themselves or poor process control. Developing a LEAN mindset towards the production process requires continual manufacturing process audits, verification and ongoing process adjustments. Within a LEAN system everyone is empowered to improve the process and final product. Our manufacturing process is centered around a "workstation" based manufacturing process. Due to the range of customer volume requirements, product markets served in combination with seasonal cyclic demands, these factors alone create significant waste from the uneveness introduced into manufacturing. Therefore, our ISO compliant manufacturing process focuses on on-time delivery along with producing the highest quality products while maintaining the greatest amount of flexibility to respond quickly to our customers needs and expectations. When OEM customer orders are received, Monitor generates an internal work order within our accounting system for a specified volume of parts to be produced. This work order is then imported into our custom developed Production/Material planning software program. This allows us to generate detailed instructions for the production and assembly including all of the internal componentry required in each specified product design. These Instructions include a material pick list, which is segmented by each production operation, along with the manufacturing instructions. 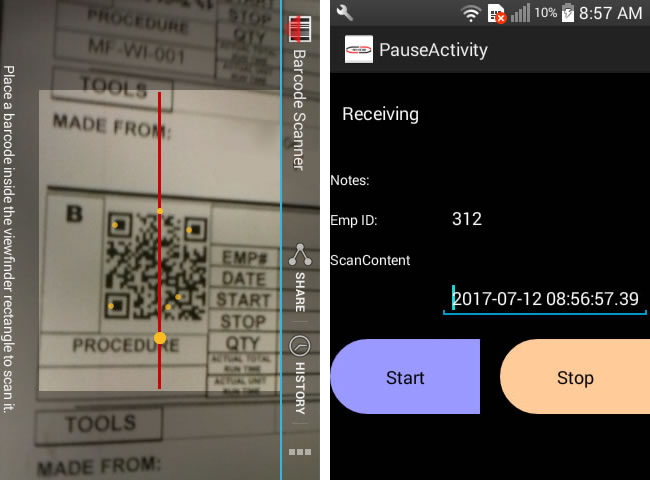 From this point forward, each operation in the production process is accompanied by a QR code that is scanned by an Android device (mobile phone) using our custom In-House developed Android application. Each production employee is assigned a mobile phone and required to use this custom production application program. 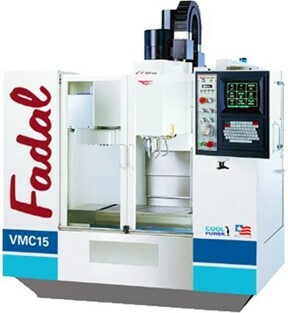 The operator interfaces with the application program to collect the start and finish times of the various manufacturing operations, as well as total number of units to be produced in the active production run. This process information is then fed back into our Production/Material planning software to update the current build. This technology and process provides us REAL TIME data to accurately determine where in the production process each production order is currently at. The collected data is then used to perform internal job audits to insure that estimated labor costs are accurate, track each employee’s productivity and eliminate overall waste throughout the manufacturing process. 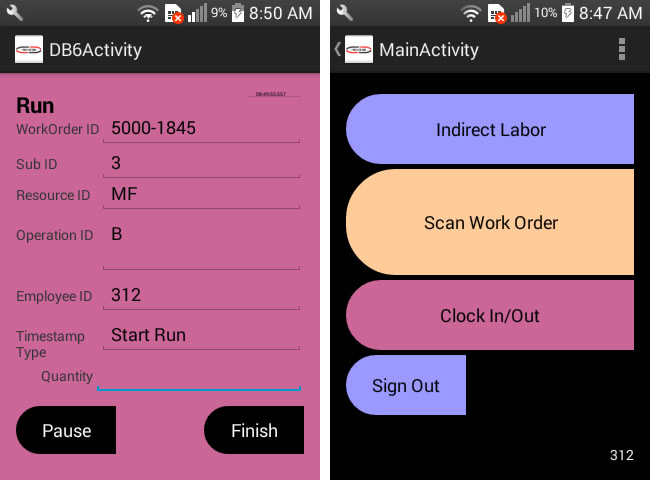 The Android application is also used to collect and track the amount of time employee’s spend doing tasks that are not directly associated with production, such as maintenance and material handling. This functionality is used in continual support of improving a LEAN production process. All of the products we produce undertake chemical treatment to remove oil and grease which can collect on the product after part production. The chemical cleaning process includes de-greasing along with acid cleaning which etches the surface in preparation for painting. Many of the OEM designs we produce require us to supply a painted product per the customers provided ASTM paint specification. Proper cleaning and pre-treatment are an important step of the manufacturing process to ensure good adherence of the paint to the copper surface. • Adhesion per ASTM D3359 Method B: minimum 4B rating. • Color: black or gray is acceptable. • DFT 0.8-1.0 mil recommended. • Must withstand operating temperatures up to 220°F. All parts are shipped with packaging protection be it either crated or uncrated products (depending on the size). We utilize laser cutting packaging equipment to develop custom packaging solutions for each specific product design. We have decades of experience shipping product locally, domestically and overseas. 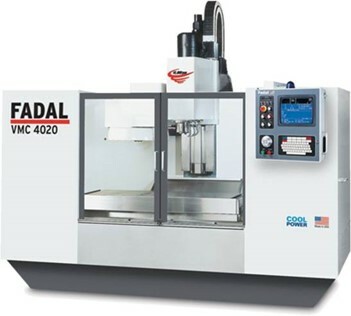 We utilize the latest technology and equipment to develop the most appropriate packaging techniques to ensure that parts arrive to the customer in factory condition. 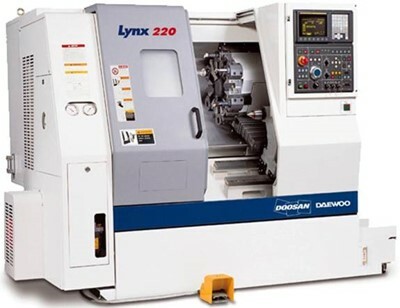 Our products are produced utilizing a variety of the latest advanced manufacturing equipment capabilities as required to fulfill the needs and requirements of our OEM customers.